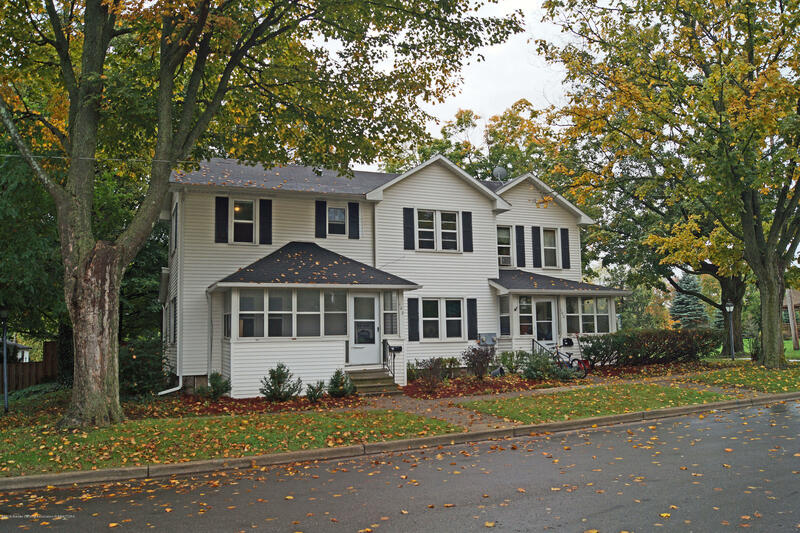 WHAT A GREAT INCOME PROPERTY WALKING DISTANCE TO HISTORICAL DOWNTOWN MASON! EXCELLENT CURB APPEAL SITUATED ON A CORNER LOT! BOTH WITH QUAINT ENCLOSED FRONT PORCHES! 100-HAS JUST BEEN RENOVATED WITH A FAMILY ROOM, DINING ROOM, KITCHEN, 3 GOOD SIZED BEDROOMS UP AND A FULL BATH! 102-3 BEDROOMS, 1 BATH AND CAN BE SHOWN WITH SERIOUS INTEREST. 100 CHERRY RENTS WERE $1,000 PER MONTH, 102 CHERRY'S RENT IS $750 AND LEASE IS UP 03/31/19. Directions: Ash/Jefferson S to Cherry E -on corner.